It’s true that smiling and laughing are infectious. People can’t help but to laugh and smile back. People who smile are said to be friendlier. They are more easily approached. Women who smile are generally considered more attractive to others, and smiling can help people to get promotions at work. There is a lot that goes into a smile. For some people, smiling can be difficult to do if their teeth are less than perfect. Luckily, orthodontists can help to correct a less than perfect smile. Smiling offers numerous health benefits, which extend past toning facial muscles. For instance, smiling has some effect on elevating the heart rate. This helps to oxygenate the entire body. 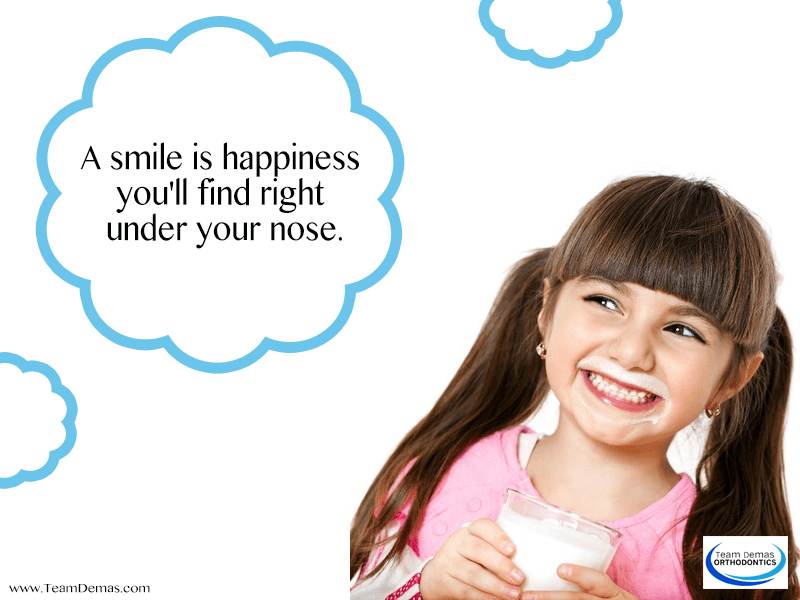 Smiling reduces stress, which, in turn, can help to boost the immune system. The body is full of anxiety, becomes tense and has several other problems when it is stressed. The immune system takes a punch when a person is stressed out. Smiling can help ward off sickness. Smiling helps to affect a person’s mood. Even if a person is not happy, smiling helps to turn this around. Smiling can actually influence a person’s mood. It is also said that smiling can help a person to think of a solution more clearly because it alleviates the stress that can inhibit the mind. Smiling throughout the day can also help a person to sleep more soundly at night. People have less insomnia from smiling because it helps to alleviate pain and provides happiness. If your smile is less than perfect, you’d be surprised at the amazing orthodontic services available. For instance, Invisalign can help to straighten teeth without it being evident that anything is being used. Have you made someone smile today? With all the amazing benefits smiling offers, spread your smile today with someone. Help them to be healthier, and make someone smile too. Call us now for a complimentary consultation.